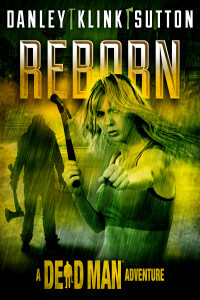 Reborn introduces Tanis Archer, a twenty-five year-old barista at a Dallas community college taking her time going through life. She’s half Greek, but has little to no memory of her father. She has a brother whom she respects, but endures life with her mother. It’s all typical Americana until her car goes out of control and she dies in the resulting crash. But she wakes up days later on a morgue slab, much to the shock of everyone. She’s considered a miracle, but begins seeing people who resembles walking corpses. Psychiatrists can’t help and unknown individuals want to kill her. Her own brother comes at her with a chain saw. Fortunately, she makes a connection with Matt Cahill, the ax-carrying simple man of justice who himself has died and was reborn. With an army of mutant “freaks” in tow, they set off to do battle with the latest manifestation of The Evil which infests the world. In this case, evil comes in the form of a sunken Byzantine ocean vessel which a research team has discovered on the bottom of the Black Sea. Against the better wishes of the captain of the ship a group of American archeologists are using, the ancient vessel is raised and the long-dead crew are taken on board. Naturally, the Byzantine crew doesn’t stay dead for long and proceed to slaughter everyone on board. Then they set sail with both vessels for the North American coast. This is by far the longest Dead Man novel, nearly 300 pages in length. 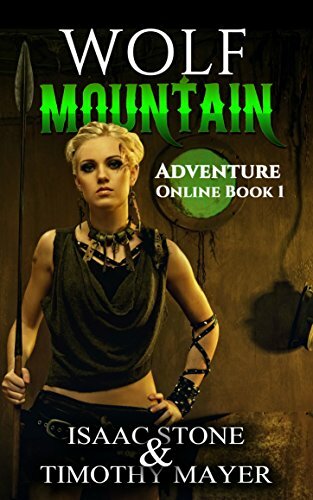 It was initially episode form as a Kindle serial: you paid for the entire book in advance, then received a new episode each week until the adventure concluded. It’s an older form of writing: Charles Dickens published many of his books as magazine episodes and would incorporate feedback from the letters he received into them. I liked Tanis as a new character development. She has a lot of drive and wields a hammer just as fiercely as Matt swings an ax.I’m sure we’ll be seeing more of her. However, I do hope Mstrs. Goldberg and Rabkin will return to the novella format they’ve used so excellently in the series. It allows many new writers a chance to play with a give character in a set universe. I’ve had a chance to discover writers I never would’ve read before. It was also nice to see some of my favorites given a chance to work with the Dead Man series. I hope this continues.